We visited several caravan companies before finding Midland Caravans. They were by far the most professional company we came across. The service we received was excellent and we would recommend them to anyone. I bought a Atlas static caravan from Midland Caravans in January 2014 and the whole process was handled smoothly by Daniel. Delivery was on schedule and the caravan was as described on the website. I could have no hesitation in using Midland Caravans again and have recommended them to friends & family. I would thoroughly recommend buying your mobile home through Midland Caravans. I was wanting a van to take to France and William arranged all the transfer to St Malo for me. Before it arrived, it had been cleaned and checked out. Considering I only saw photos on his website, I was delighted when it arrived and I am now happily settled in France. I bought my caravan from Midland Caravans and had a really good deal. They were friendly and helpful. Would buy from them again. Excellent service. The service we received was fantastic. As we were looking to buy to stay in for a while, we have since put a log fire in and are enjoying the caravan very much. Your support could not have been better, thank you. Excellent service overall. A quality caravan purchased from Midland Caravans, which was delivered to a very poor accessed site. Great care was taken by the delivery team. Wouldn't hesitate to recommend or use this Company again. We were extremely pleased with the service we received from Midland Caravans. The sales representative was even willing to meet us early on a Sunday morning at my request. The complete sale was smooth and easy, I would highly recommend, thank you. Daniel was helpful and informative from the start. He helped me pick the right van for our needs (to live in while renovating our house), delivered it when we needed it and continued to be a font of knowledge well after the van had been delivered and I was setting it up. He showed immense patience during my (rather numerous) queries. Excellent service. Thanks again, Melissa. We have had fantastic service from Midland Caravans. From the first visit we made "just to have a look" to the after sales service when we had bought our caravan they have been outstanding. We would highly recommend Midland Caravans to anyone. I am very pleased with the caravan and how you took care of transporting it to the site. You did everything we asked for prior to purchasing the caravan. We would like to express our thanks to the team at Midland Caravans for all the help they gave us when we bought our static caravan. They were all extremely helpful, friendly and professional and made the whole purchase really easy. Even the guys who delivered the van were fantastic! It is seldom experienced, in our modern world, that old fashioned politeness, an open ended willingness to assist in all and every aspect of a sale in question and at the same time to be made to feel one is the only client that exists in the business, both before, and after the sale. these are the qualities recently experienced with my dealings with Daniel and others at Midland Caravans. I thank them all. I am writing to say how impressed my wife and I were with your service upon purchasing our caravan from you. Not only was the caravan good value for money, your transportation service was superb. Once again many thanks for your great service. Bought a Pemberton Park Lane from Midland Caravans. It is beautiful , so clean and everything works! Delivery was prompt and no problems. Daniel and his father are fabulous people and great to deal with. I am a very satisfied customer and would not hesitate to recommend them to anyone or using them myself again. No hard pressure sales, good prices, very accommodating. Thank you, we are very happy with the van. Very good service and done exactly what was agreed. Nice van & good service. We are delighted with our new home. It is everything and more than we could have hoped for. We thank you for your services ie sales and delivery. We are pleased we chose your company, everything has been first class, I feel more of a friend than a customer. Yours thankfully, David & Jenny Cameron. Dear Daniel, You gave us an excellent service with our caravan. Everything we asked to be done was done. It arrived to us in good, clean condition and your delivery driver couldn't do any more to help us put it in position as the people who were supposed to do it let us down. If we upgrade again in the future you will be the first we come to and we will recommend you to everyone. Many thanks. Having recently purchased one of your static caravans (which is giving me a lot of pleasure), I can't thank you and your staff enough. The siting of my caravan was a hard task for you and the guys, but you came up with the goods as promised. It gives me peace of mind knowing if there are any problems in the future you will be at the end of the phone eagerly wanting to help. We are delighted with our Atlas Concept van. We can't thank you enough for the way you dealt with things and your patience shown. Any time your are up our way please feel free to call in. 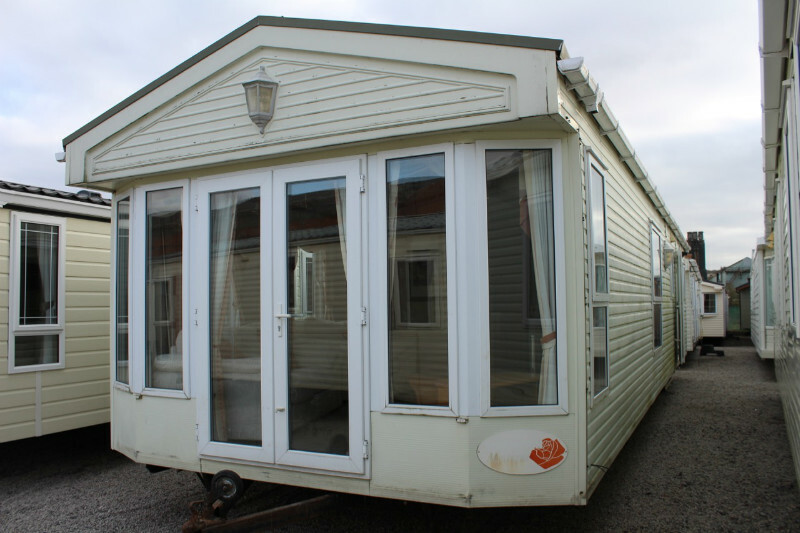 Initial good choice of good quality caravans supplied in excellent condition and on time. All promises were honoured. Very helpful with delivery. All round excellent service! My wife and I were very satisfied with the helpful way we were treated in every aspect of purchasing a caravan and would highly recommend your firm to anyone. There is always someone at the end of the phone to answer any queries. A special thank to Daniel for his help and friendly service. I was very happy with the service I received from Midland Caravans and will certainly use them again. 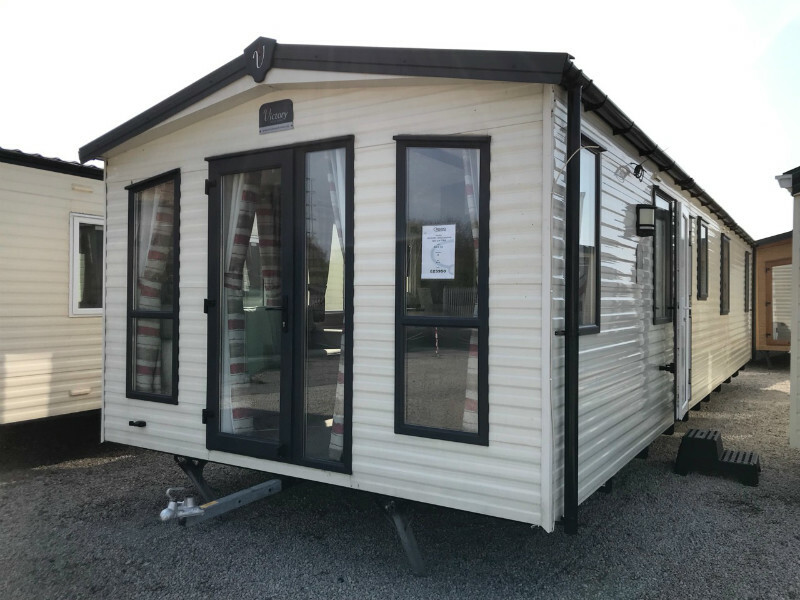 I was very happy with the service I received from Midland Caravans and especially from Dan who initially showed us the caravan and kept us up to date with developments regarding making it to our home. Access to the plot was difficult but the delivery team persevered for nearly three hours to get in in the right place. We are thrilled with our caravan and the service we received. I have nought but good words to say about all the staff at Midland Caravans. When one gets excellent service one should say so. It is easy to complain but with this company there is nothing to complain about. Every detail is dealt with and your needs are their first consideration. Truly exceptional company. Midland caravans could not of been more helpful with advice, help and kindness. We had a site visit (Highly recommended) and on the day of delivery the guys were careful and determined. Very satisfied. After trying to find the right static for us from the major suppliers, with no luck, we came across Midland Caravans. They were professional and courteous. I would not hesitate to recommend them to anyone who wants quality and a bargain. Midland Caravans were flexible, accommodating & helpful throughout the whole process from viewing to purchasing to delivery of our van. They willingly shared advice, knowledge & expertise during this time and were always at the end of the phone when we needed issues clarifying. The cleanliness & presentation of vans is of an excellent standard, along with the friendly & helpful staff, we can only highly recommend this company. We were made very welcome before we had even purchased the static caravan. Everyone we met from salesmen to delivery drivers were polite and friendly. We would definitely recommend Midland Caravans to anyone - in fact, we have already done so. Thank you so much for the delivery of our BK Contessa mobile home - a life saver at short notice while our house is renovated. I am so pleased with my caravan, customer service was brilliant, could not have been better, 10/10 all round. Well pleased. Having looked for a static caravan for a number of months we found the company "Midland Caravans". Unlike most of the other companies we had visited, Daniel described the stock accurately and when we visited the specification, colour, size etc was not exactly what we required. A few weeks later Daniel contacted us with new stock and true to his description the van was immaculate...We bought it!! The delivery was rather complicated but the "MC" team were excellent, amazing how they 'flew it over' our gateway. A massive thank you to to Midland Caravans who were honest from start to finish. I would say from our experience very rare to find in the industry. We found the management and staff friendly and helpful. Still amazed how they managed to site the van in a difficult situation with literally mm's to spare! Totally professional. We received excellent service from you. The delivery of the caravan was first class. We would recommend your company. My purchase of a caravan was very tedious due to me using it for residential purpose. The process was not easy but nothing was too much trouble for Midland Caravans. William and his team went far beyond the extra mile in the advice and & service to myself & my wife. The caravan was delivered to my site in pristine condition with all my special requests carried out. A truly professional service from all members of staff at Midland Caravans. Great service, great price, nice people to deal with. After visiting several dealers, Midland Caravans was by far the most competitive in price. Their attention to detail with regards to any repairs was 1st class. A warm and friendly meeting with them was certainly noticed. If we need another caravan in the future we will know exactly where to return. The caravan was very reasonably priced and good value. It was delivered promptly and was clean & tidy. It has proved very useful and we have had no issues with it. Generally a very friendly and pleasant firm to deal with. Highly recommended. 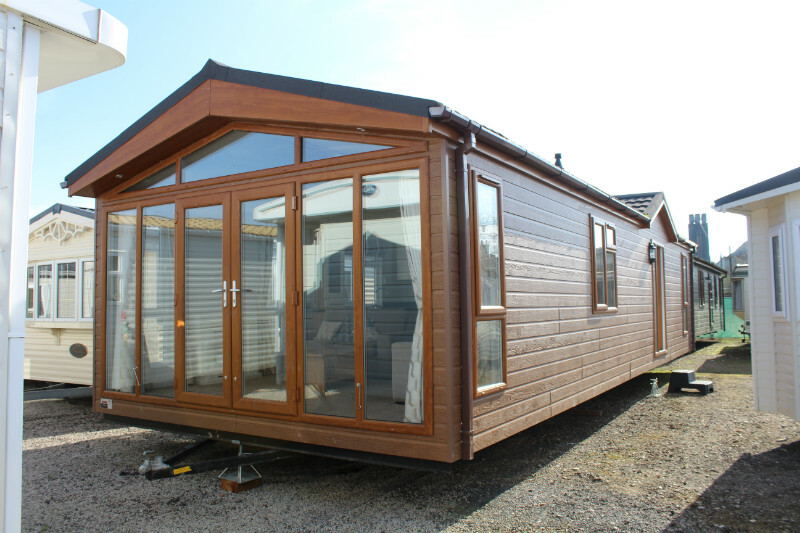 We found Midland Caravans to be extremely patient and helpful, we went many times before deciding on the one we wanted. Delivery was prompt and very well managed. Thanks to all the team there, especially the coffee maker!! Regards, Gary & Sylvia. Our experience has been completely first class. If you are looking for a used caravan the look no further. Midland Caravans have been really helpful from beginning to end including shipping to Portugal. We cannot praise them enough. Highly recommended. We acquired an ABI Westwood from Midland Caravans. It was a pleasure to do business with Daniel, their sales representative who handled all the arrangements very competently. In due course I will have no hesitation in visiting them again when a replacement caravan is needed. I purchased a used caravan from Midland Caravans, which was in excellent condition. The price was competitive, transport arrangements handled very well and the polite and unobtrusive manner of the sales staff contributed to the feeling of complete satisfaction with the transaction. Many thanks to William & Daniel for your courteous and kind manner. The purchase of our caravan was a pleasure to us and it's delivery by the team could not have been bettered. We are loving having it. Thanks again. Really pleased. Delivery was great as it wasn't the easiest but all good! We are delighted with our fabulous caravan from Midland Caravans. From first viewing to site visit to check the route and access, everything was professionally dealt with. We would thoroughly recommend Midland Caravans. If I could give Danile 10 out of 10, I would. We are so happy with our purchase. To buy something for �10000 without actually seeing it sounds very careless, but from the very first telephone call with Daniel I knew I could trust and beielved it was perfect for us. Daniel and Midland Caravans are very professional, trustworthy, caring and thoughtful. They have exceeded our expactations. Thank you very much indeed. We were very pleased with the service we got from Midland Caravans. They were very helpful in dealing with our queries and were superb in delivery and installation. Many thanks William & Daniel, you were very helpful and professional. We would recommend you to anyone. Static was delivered as condition when sold, no damage caused even the access was tight. Very pleased with service, from initial viewing to delivery. The only professionals we dealt with - would never go elsewhere!! Very pleasant and easy experience. Made the selection and purchase a joy. No problem recommending Midland Caravans to anyone, with William & Daniel helpfull and courtious. Thank you both, Edwin & Marian. 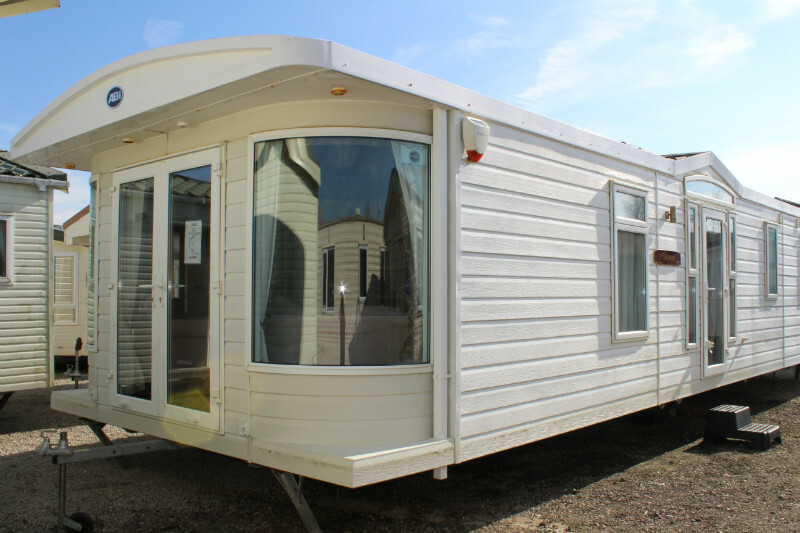 We recently purchased a Static Caravan from Midland Caravans for our self-build project. The service was excellent form start to finish. Fast, efficient & friendly - we would highly recommend Midland Caravans. Many thanks. Thrilled with my BK Lulworth. The service was excellent. Would definitely recommend. Many thanks, Louise. We are more than happy with the way Midland Caravans dealt with the sale of the caravan. Communication was excellent and we are very content with the interior & exterior of the van. Happy days! Excellent service at Midland Caravans. Everything was sorted out very quickly & they were very helpful! Our static van which is a Willerby Aspen. two bedroomed, was delivered to us in Aug 2015. The siting of the van was a bit tricky but the men were excellent and put it in position with ease. We love the van and find it very spacious and have had no problems with it. Everything had been checked and cleaned before arrival. Any queries we originally had were cleared up efficiently by a phone call. Very helpful staff. If we ever wanted another statc, we would without hesitation buy from Midland Caravans again. Thank you. Mark & Jean. Just wanted to say a big thank you to Daniel for allowing me the time to look round several caravans and answering numerous questions but most of all for the brilliant after sales service. Good customer service is a rare commodity nowadays but Midland Caravans have it in bucket fulls. Thank you.